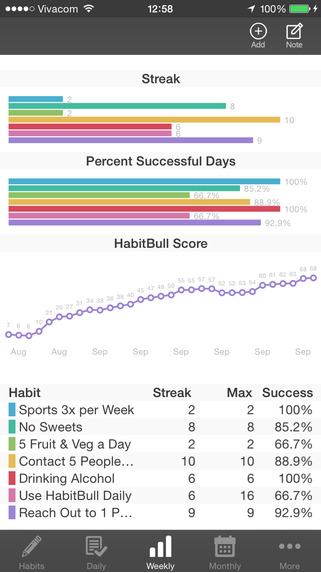 HabitBull can help you organise your life. You can customise, set goals and create positive habits and routines that can help you feel more in control of unwanted habits. 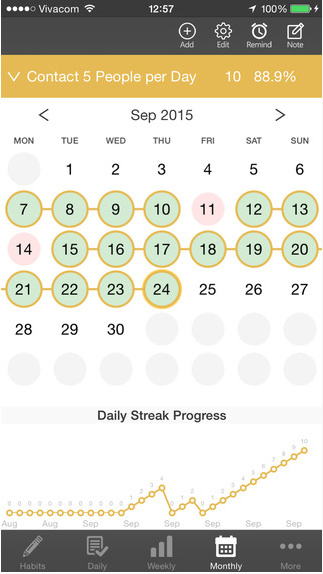 Easily keep track of all your habits, routines and repeated to-dos. It was extremely easy to use and track goals. Its appearance was nice and made me want to keep exploring, the sub heading in the goal choices were really good. There could have been something fun to engage in if you achieved your goal, maybe something like a funny video. Other than that I didn't find anything too wrong with the app. 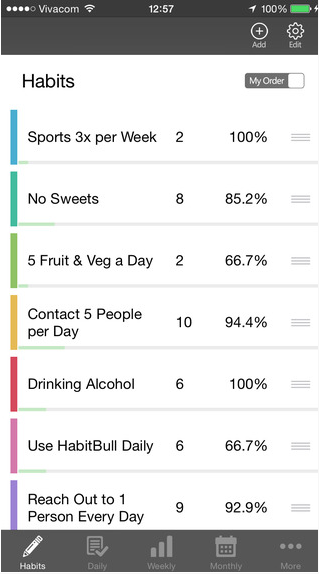 I like that the application is a gentle encouragement to uphold personal goals and good habits in your life. It offers young people control. It takes a bit of time to get your head around and there are many features. Once you understand it, it's a great application. It was exactly what i need. So easy to keep a track of my life.